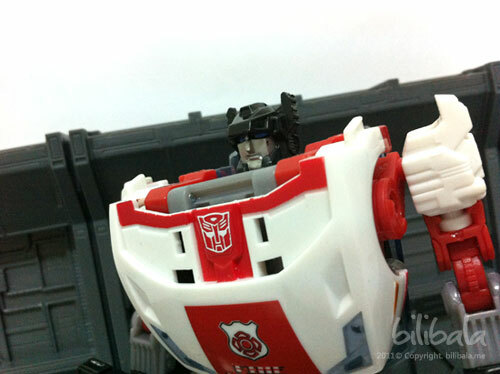 Home » Transformers Toys » TF Generations » Transformer Generations Red Alert! 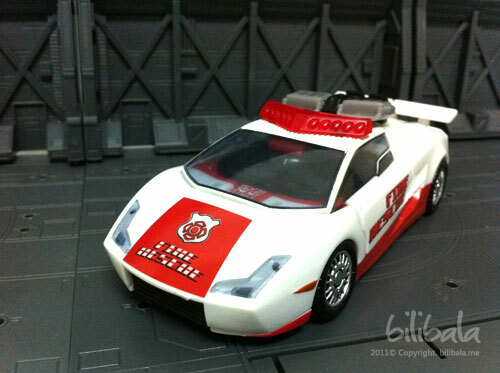 Here’s another cool vehicle-robot from Transformation Generations line: the Red Alert! Okie, this might sounds confusing for me when i first know the name of Red Alert for the Transformer as it bears the same title with a hit PC game. But after reading thru information about this guy, his name Red Alert actually appears way before there is Red Alert game. 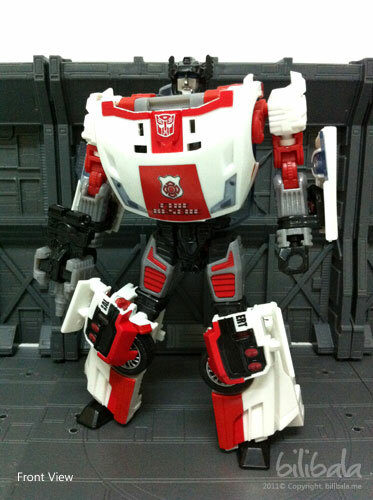 If you are a Transformers Henkei line collector, you will know that this Generations Red Alert is actually a rebranded/repainted version. Here’s how a Henkei version will look like. 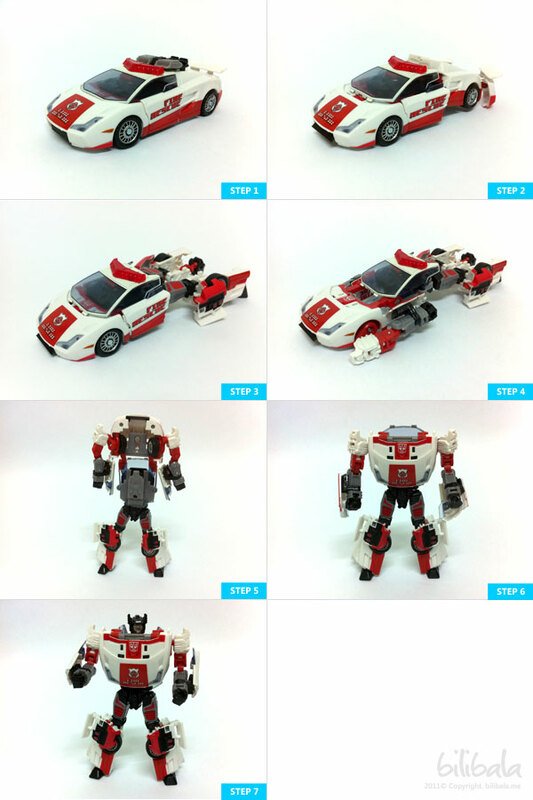 Can actually say that there is around 95% similarity between the Henkei and the Generations version. Anyhow, i only have the Generations version of Red Alert here and i would like to share here. The overall built quality is quite nice being the while color plastic is those glossy type plastic. 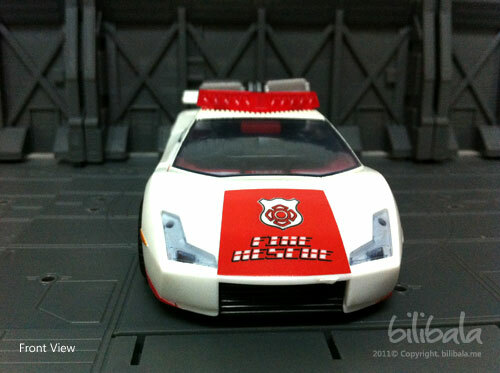 The joints are acceptable for this Red Alert and the vehicle mode is quite nice as well. I couldn’t make out of what is the original vehicle for the Red Alert. But anyhow, it is a cool piece of alternate mode. 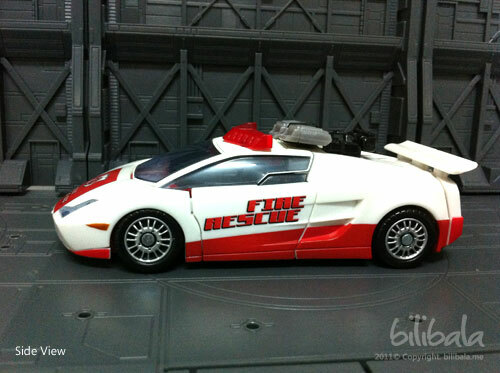 The front headlights and the siren lights are of transparent plastic which add to the details of the overall vehicle mode. The rim is painted in silver chrome color. You can notice the plate number at the back is 05 Alert. 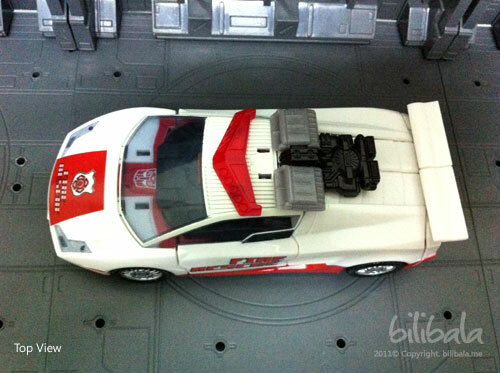 Notice that the muffler is actually a part of the combiner cannon which is the primary weapon for red alert. The top of the vehicle holds the siren light and the siren unit. 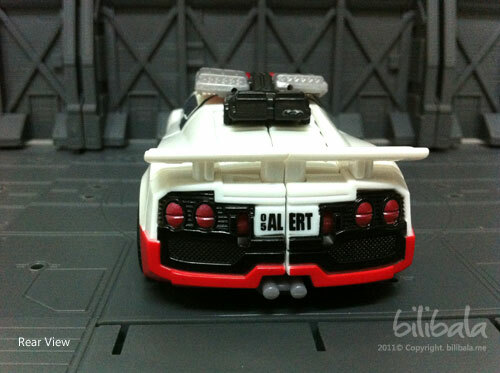 The siren unit is the 2nd part for the combiner canon. 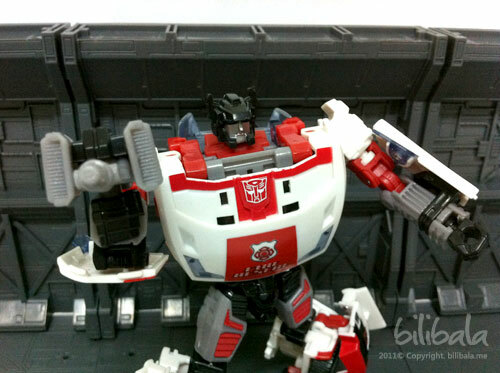 The robot form is quite a resemblance of how the G1 character looks like. 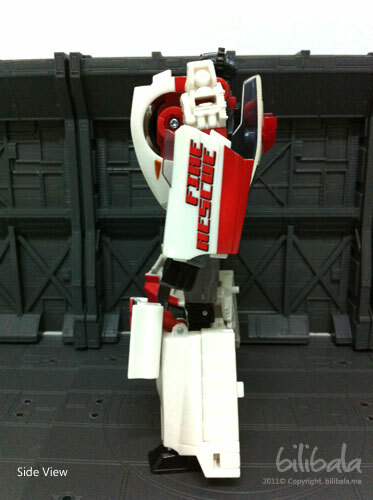 See the amount of details that the robot has and how close the resemblance of it with the G1 version. The transformation is quite simple and straightforward. It isn’t really difficult. 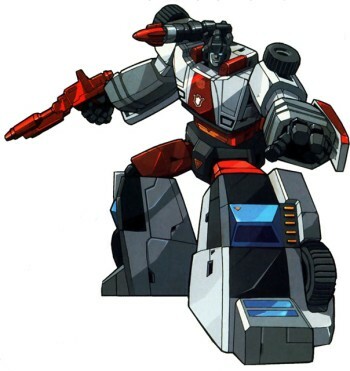 The only gimmick that the Red Alert is the Combiner Cannon which is a combination of the siren unit and the muffler itself. 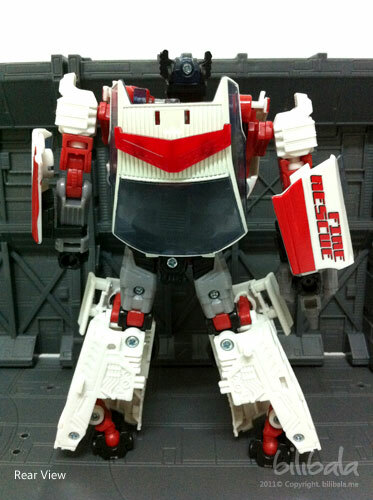 This Red Alert is not a new mold, and for those who already has the Henkei version, this is just merely a repainted version of what they already have. 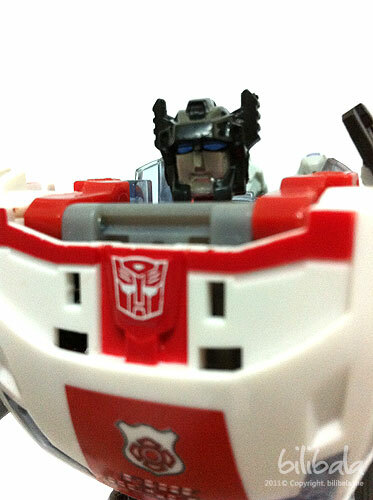 But anyhow, for a newcomer, it is quite a cool robot + vehicle to have it.